Oxycare There is 1 product. 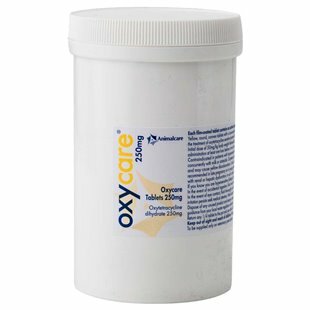 Oxycare is an antibiotic for the treatment of dogs with bacterial infections sensitive to tetracycline therapy. Soft-tissue infections caused by Staphylococcus aureus or Streptococcus spp. have been shown to be highly sensitive to Oxycare. Respiratory infections caused by Bordetella bronchiseptica are also commonly sensitive.